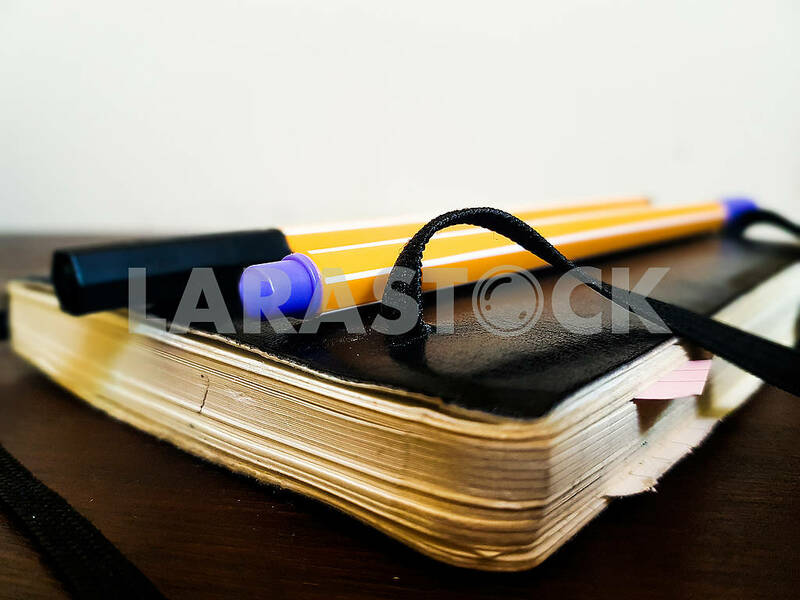 Description A closed notebook on a desk with two pens on top. 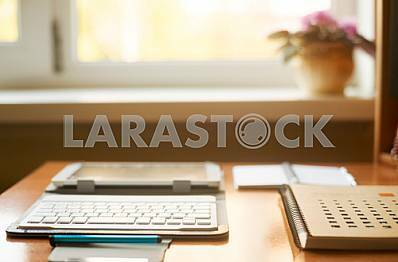 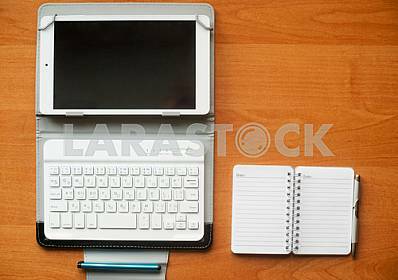 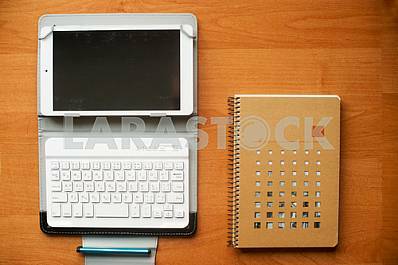 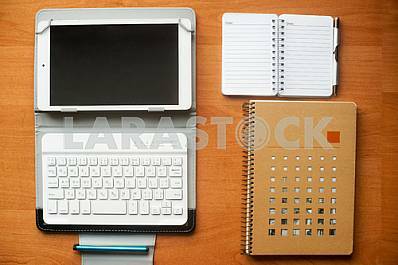 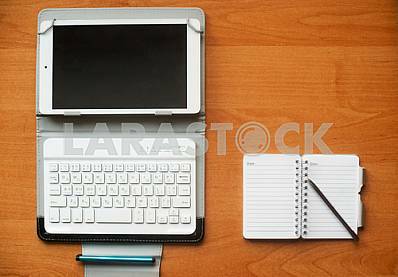 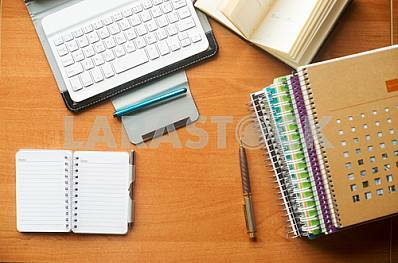 Description: A closed notebook on a desk with two pens on top. 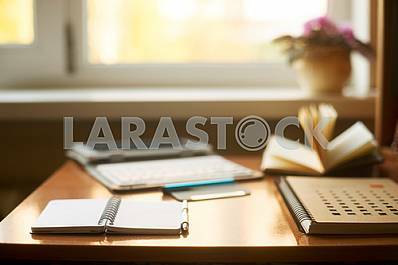 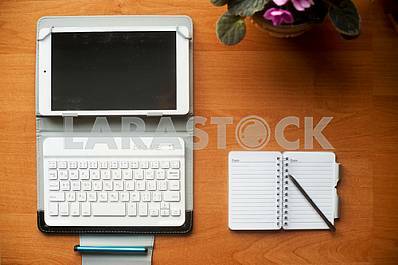 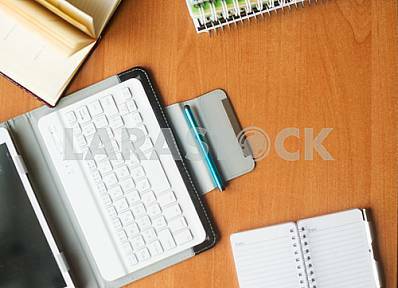 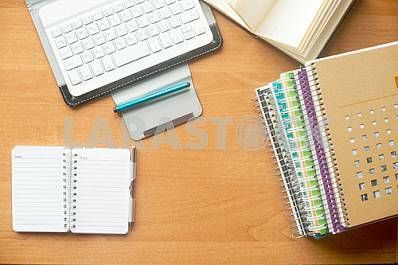 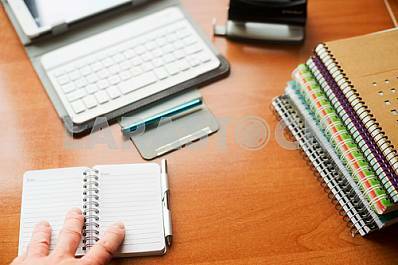 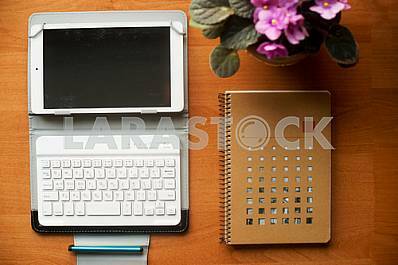 Image Description: A closed notebook on a desk with two pens on top.